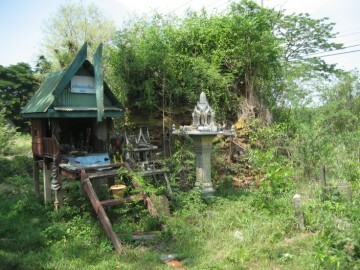 another temple under the same name along Khlong Pla Mo. it difficult to identify or date. 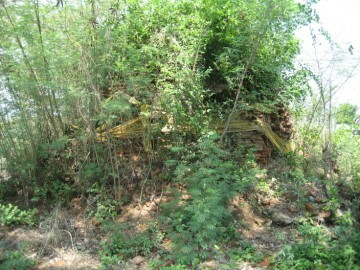 This chedi is covered by a lot of vegetative growth. #3060 had yet to be constructed. 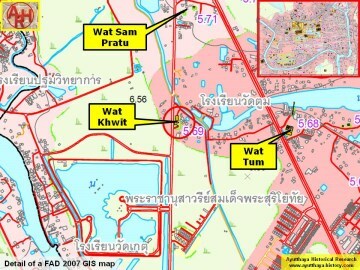 area of Ayutthaya in Wat Tum sub-district, east of Highway # 347. Coord: 14° 23' 19.94" N, 100° 31' 46.70" E (based on 2007 map). 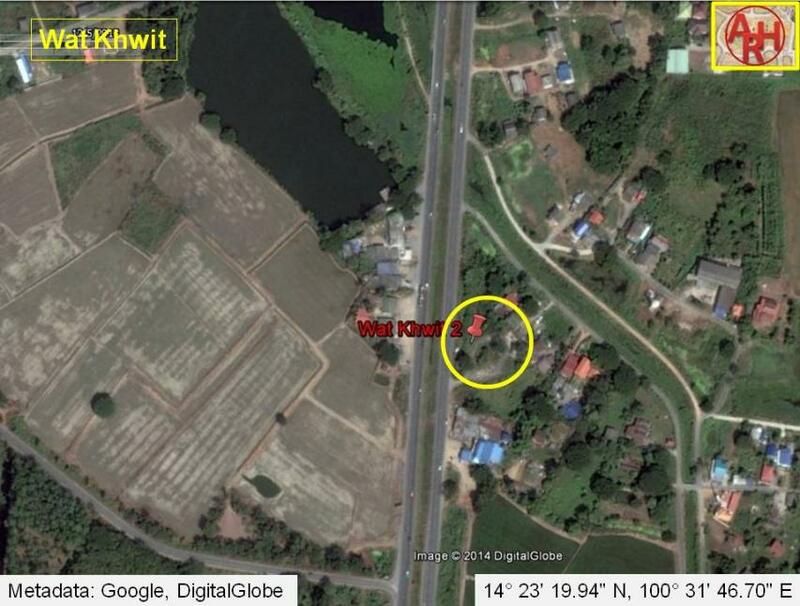 Wat Khwit stood south of Wat Long Thong on the west bank of the old Lopburi River.